The premise of “A Star is Born” began life as an ode to the conflicting values of celebrity, where newfound stardom depended on incidental discoveries while veterans were being eroded by destructive behaviors. Then came the prospect of remakes, beginning in 1954 with Judy Garland and James Mason, where those notions began wearing the mask of more elaborate Hollywood polish; through the embellishment the core thesis was diverted into the sort of song and dance you see in cheerful studio musicals. By the time it arrived at the doorsteps of Kris Kristofferson and Barbra Streisand for their 1976 adaptation, there was little point in pretending there was a deep meaning left in the material – now they were vanity projects masquerading as star vehicles, where the changing reputations of its characters played second fiddle to a foreground knee-deep in showmanship. All the same, the show was rousing enough to drive ticket sales, and the third “Star” film was the number two box office success of its year (bested only by the original “Rocky”). Some good came of the Streisand version, admittedly, because her dedication to performance held captive the awe of onlookers. 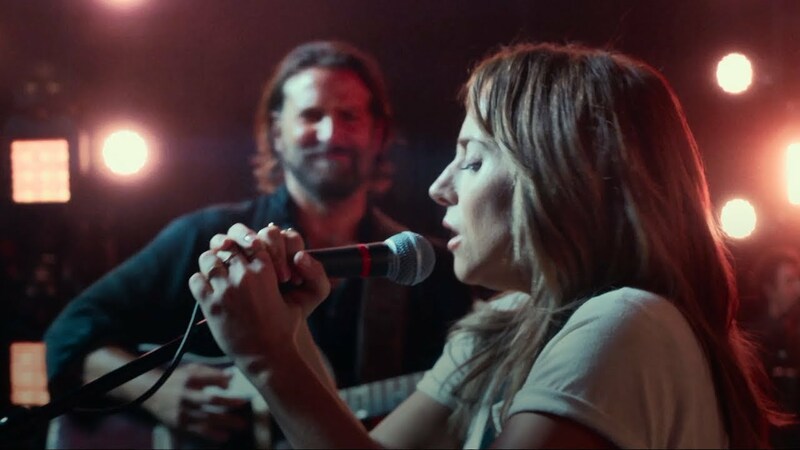 And there is a good deal of that sort of merit in this fourth version of the story, too, starring Bradley Cooper and Lady Gaga as songwriters who meet, collaborate and fall in love before retreading to that all-too-familiar formula. But it is formula all the same, and one I have little patience for. And like its predecessors there’s only so far any aspiring filmmaker can take this rather basic setup. “But David,” a friend and colleague observed during my first impression, “shouldn’t you be just critiquing what you see on screen? There are no new ideas anymore. At least this film is honest enough to admit it.” That assertion is certainly true given the times we live in. Ideas are merely derived from more powerful sources, and there is little hope of innovation in a movie that is recreating a well-known arc. Let us, therefore, assume the most of what occurs here. Are the performances at least convincing? The chemistry plausible? And are there good enough songs motivating the performers or their motives? All indications point to yes. What overpowers their momentum, alas, is the complete inability of Cooper, who also directs the film, to distance himself from the more cliched staples. In a movie where he has the chance to at least venture into new territory, we instead get yet another scene in which the fading rock star character embarrasses the rising songstress on the awards stage, a romantic montage in a bathtub in which she glues false eyebrows on him, and a musical finale where all the rage and grief reveals a person determined to move on from painful loss. And what are we to say of the trajectory of the Gaga character, furthermore, who begins as a plausible performer and writer of adult contemporary songs before turning into… just another generic pop star? The screenplay was reportedly fleshed out from a draft previously in possession of Clint Eastwood, who was to direct the movie before moving onto other projects. Maybe it needed a few additional revisions. The first act sets up a fair amount of promise. Cooper comes on stage, transformed, as a musician and singer named Jack, well in possession of a credible following before backstage confessionals reveal something more depressing: alarming drug use and alcoholism. These may be outlets, we learn, to other pain bubbling under the surface, including a working relationship with his brother (Sam Elliot) that is filled with some level of resentment following the deaths of their parents. Later, that hostility manifests during another revelation – Jack’s hearing is decaying rapidly, and without taking precautions during live performances he may lose it entirely. He regards these realities but doesn’t directly deal with him, because that would undermine the cause of a greater purpose: namely, to discover a nightclub singer named Ally (Gaga), who will marvel his spirit, earn his affection, and become a muse that he must ultimately share with the world. Gaga’s Ally is a likable enough person: talented and certain of herself, even while she has lingered in the backdrop of her potential. That she is not stricken down by Jack’s fame after meeting him at one of her performances indicates her self-assurance, and there is a moment they share in the parking lot of a grocery store where we get a sense of the abilities hidden behind the gruff exterior. Soon she is abandoning a job as a restaurant night hostess and being whisked away on planes to Jack’s concerts, where she watches admiringly at a distance backstage. Then he invites her on with him to sing the song she wrote, and before long they are creating a magic that intoxicates the audience. Who is this strange new figure in Jack’s life, they wonder? Where did she come from? Is their synergy sourced from a deep love of the music, or is there something more between them? The movie balances on-stage encounters with a behind-the-scenes interaction that is plausible without being contrived; Cooper and Gaga have a natural chemistry with one another, as if in tune with each other’s motives without acknowledging them verbally. But then they descend hopelessly into a second act that must sideswipe their momentum with a checklist of formula staples: private arguments, strained personal relationships, outburst, different professional paths and elaborate acts of self-sabotage. The movie is so caught up in the monotony of the movement that everyone begins to look bored. That is especially unfortunate when you consider the enthusiasm each of these players have brought to the table. Cooper, in particular, is revelatory in his performance, abandoning his familiar brand of sarcasm and quirk for an identity that is played straight, right into a series of final scenes where he has a heartbreaking emotional breakdown. Gaga, in contrast, is competent at being who she ultimately is: a pop star with good self-assurance. The role of Ally doesn’t give her elaborate hoops to jump through, probably because it seems written to consider all the conventional touches of her stage persona. But she is competent nonetheless, unlike a recent string of stage performers who basically stand there looking like they are caught in the headlights. If anything, she draws most of her energy from her collaborators – in this case both with Jack and her father (played by Andrew Dice Clay), who sometimes feel as if they exist to prod her towards promising dramatic cues. If only those behind the scenes were more convinced of themselves to try something new. It becomes hard to buy several of these situations when we know what to expect of them, even though the actors have a good sense to play through them without obvious cognizance. I was surprised, furthermore, that no one occupying space in Ally’s sphere was audacious enough to comment on her career trajectory – to say that her transformation from a confident songwriter to a colorful dance diva seemed completely jarring and superficial. That may have been intentional when one considers the source, a hackneyed talent agent who is utilized in a climactic scene to inspire a tragic decision, where we are forced to acknowledge some level of disgust for him. Who knows: maybe he is there to sabotage them both, and the movie cuts to black before he can reveal those motives. 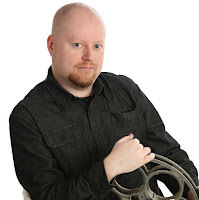 An interesting movie might have come from that. Or maybe I’m just grasping for straws, trying to find a distinctive angle to hold on to. Can you blame me? “A Star is Born” is well-intentioned, but wants to play it far too safe for any of the good objectives to resonate. Couldn't agree more with the idea of them playing it safe. I wanted to see the story of Ally avoiding the pop star cliche.